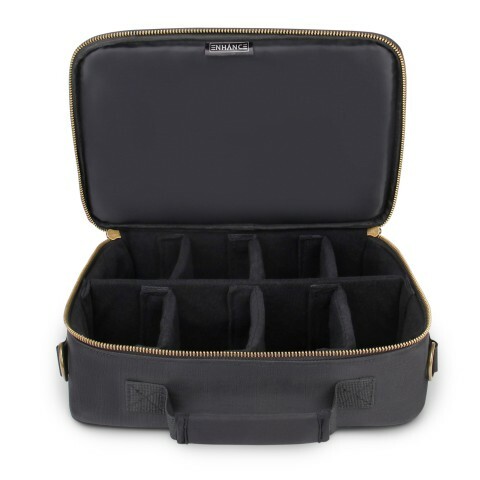 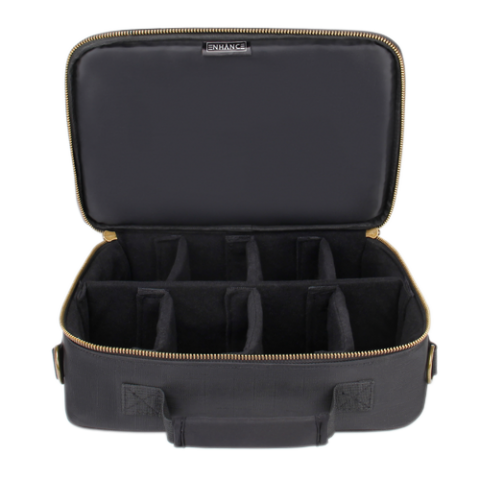 Protect and store your collectible card collection with the ENHANCE card travel case. 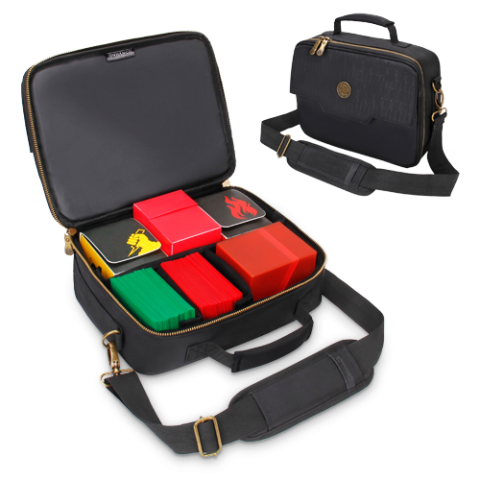 The case was designed specifically for card players and gamers who often need to bring various customized decks or larger collections to tournaments, community gaming events, or for use as a protective storage case for home. 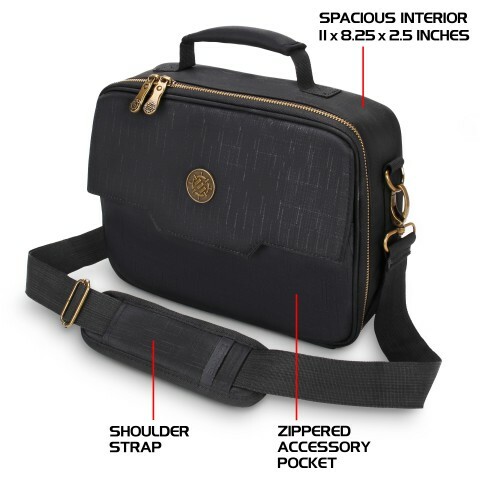 A modern design with brass colored hardware and zipper pulls with a deep black textured exterior offers a professional appearance for tournament events. 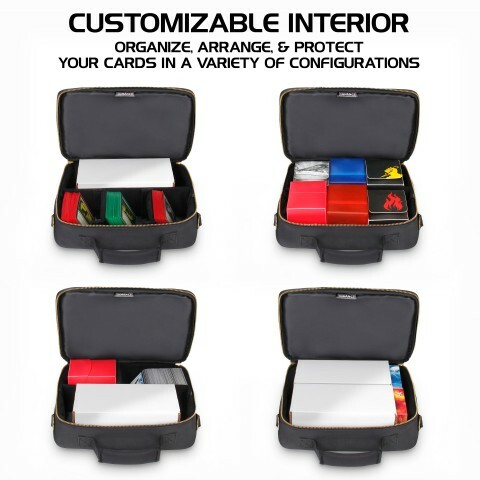 The interior is entirely adjustable with 7 removable dividers to create custom sized compartments for Ultra Pro deck cases, loose sleeved cards, BCW cardboard storage boxes, and much more. 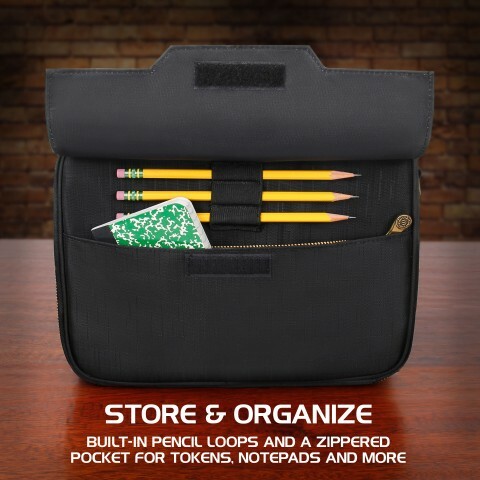 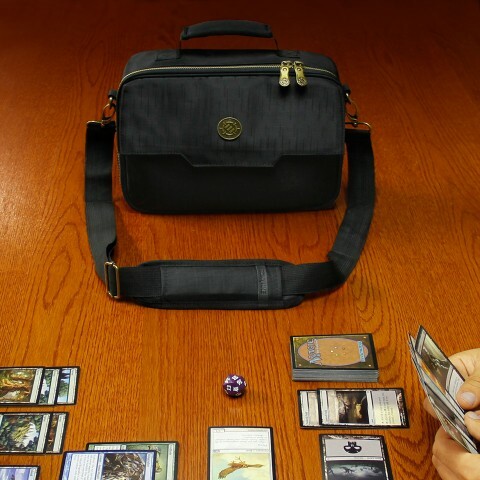 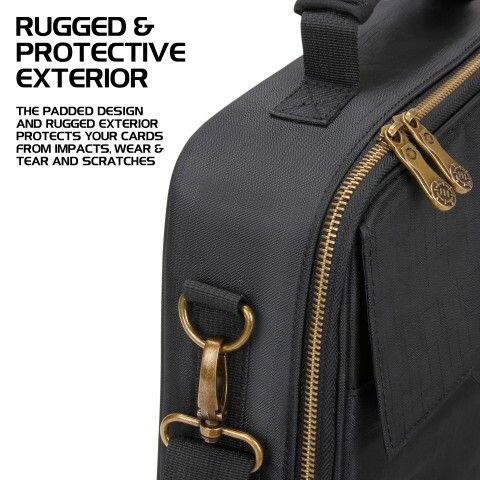 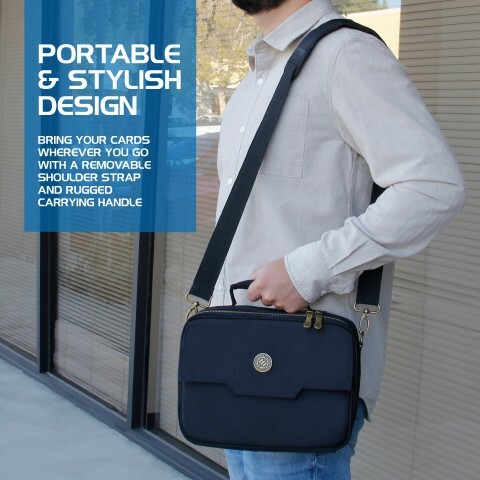 Our unique design features 3 built in pen and pencil loops and a zippered accessory pocket for holding small notepads, dice, tokens, and other small items necessary for playing games like MTG (Magic the Gathering), Pokemon, Yugioh and other trading card games.